*Free 600ml bottle of oil with this machine. 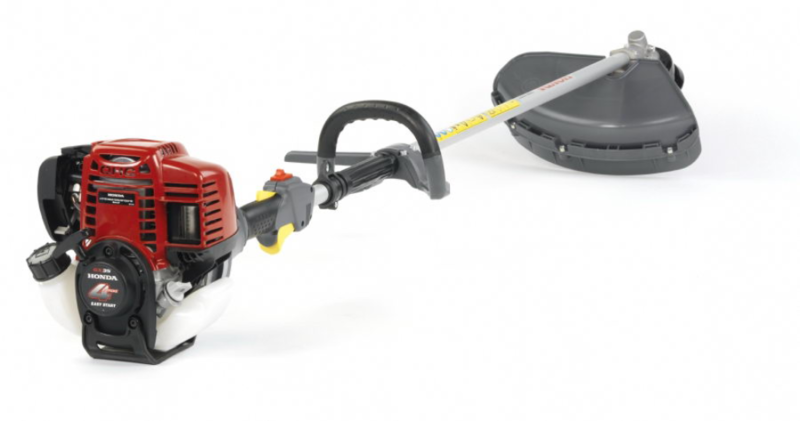 Introducing the Honda UMK 435 LE petrol garden brush cutter. A more powerful machine, the 35cc UMK 435 LE features a revolutionary mini 4-stroke engine offering unrivalled smooth and quiet operation. A convenient Loop-type handle ensures control with safety and a metal blade is available for more demanding jobs. A harness and protective goggles are also included. Honda customers deserve complete peace of mind. Honda Brushcutters are supported with the longest and most comprehensive warranties in the industry.